The Spearfish Food Pantry is located at 131 Yankee Street in north Spearfish, serving needy neighbors in Spearfish and St. Onge. This gallery contains several hundred photos from Food Pantry activities over the past few years. We like to showcase our many donors and volunteers, without whom we simply could not operate. Our heartfelt thanks to all of them — past and present! To see larger versions of these photographs, simply click on the images and choose from the "Size" menu at the top of the page. We invite you to visit our Spearfish Community Pantry web site. 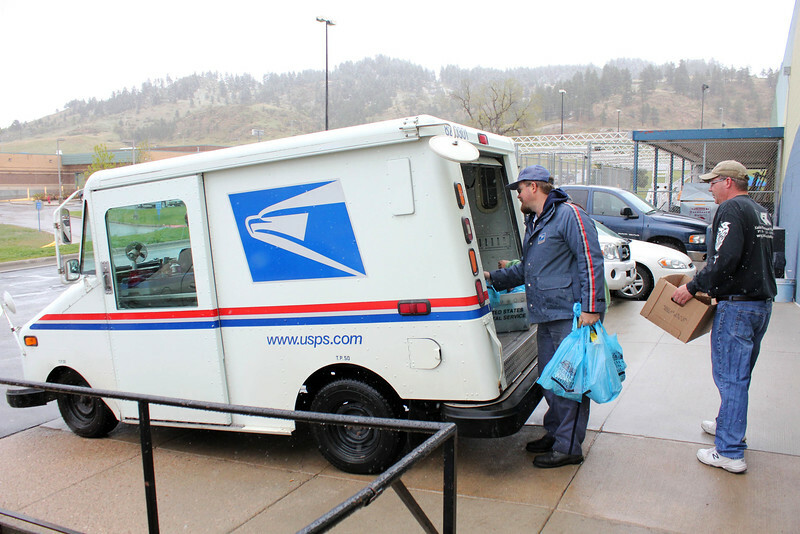 Only light snow was starting to fall by late afternoon as this Postal Service truck arrived at the pantry.